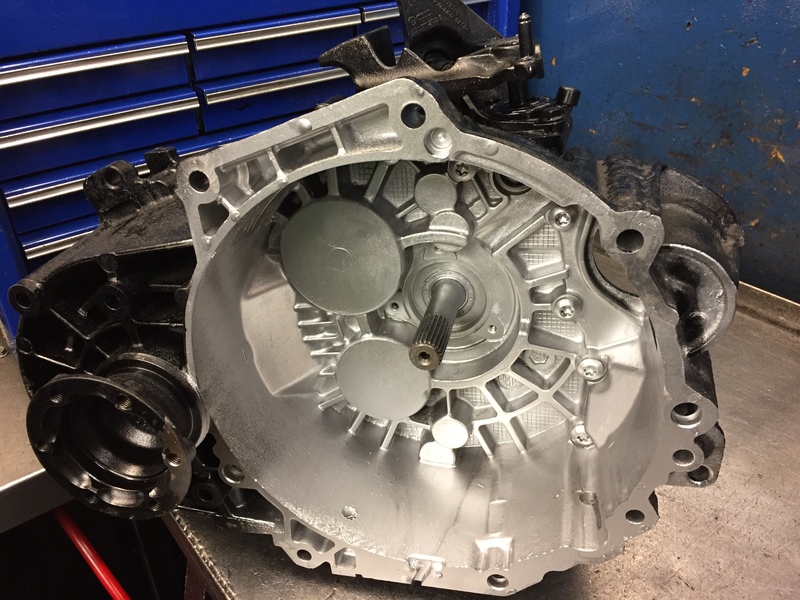 Vauxhall Combo 5 Speed Gearbox. The F17 5 speed Variant fitted to the combo 1300 cc Diesel typically fail due to the pinion journal being worn away by the pinion bearing it essentially “cotton reels” and renders the gearbox useless due to the damage caused. 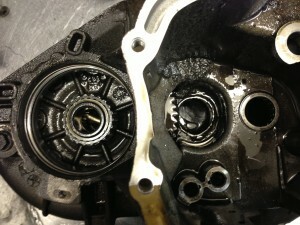 Replacement gearboxes are £450 + VAT on an exchange basis , normally a stock item. 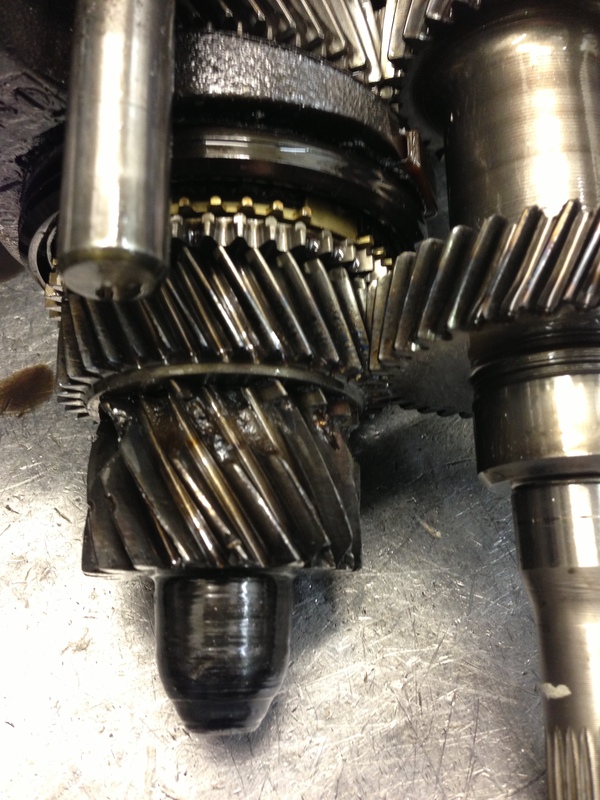 Inside the case (center hole) you can see the exit hole caused by the pinion bearing breaking up and being pushed out by rotation of the gearbox .